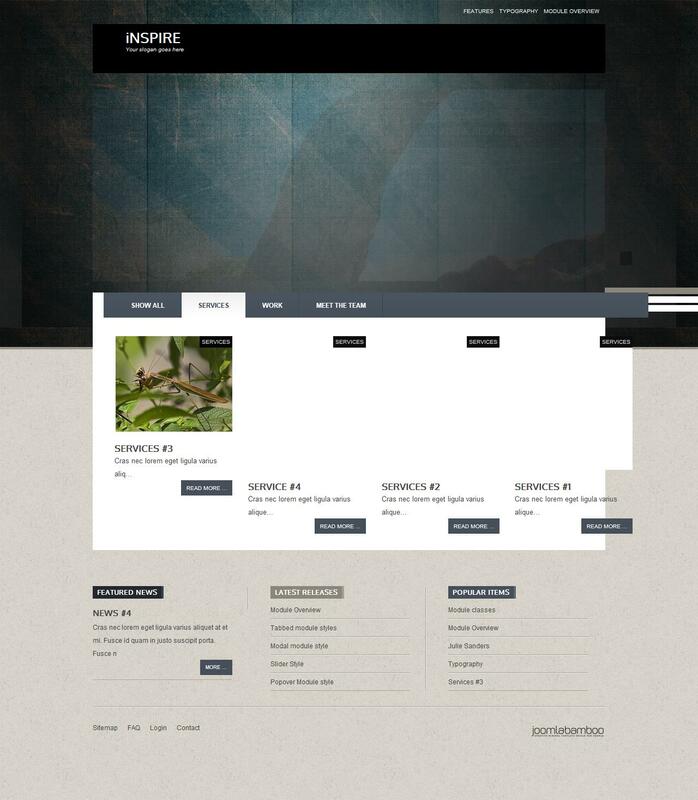 JB Inspire - another stylish template with full support for Joomla 3.0 developers JoomlaBamboo. The original design layout contains 14 preset styles that will pick up elegant look website on any topic. An updated version of the T3 framework, which works template lends functionality and optimization, adds adaptive functions to support any mobile platform and is responsible for fast download speeds template. In the assembly is studio toolkit Zentools, responsible for working with mobile content, as well as social bookmarking module for Zen Social integration with popular social services. JB Inspire great choice for creating original sites of any complexity and functional structure.